This week, we soak up the cultural richness of the historic renovation projects in DTLA and Chinatown. It’ll make for a rowdy and romantic staycation. 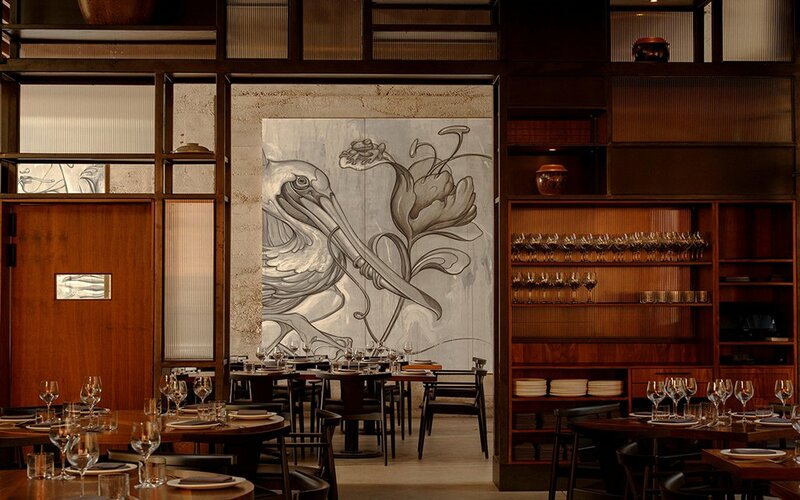 In the era of redevelopment, the new NoMad in DTLA is the pinnacle, quality-wise. 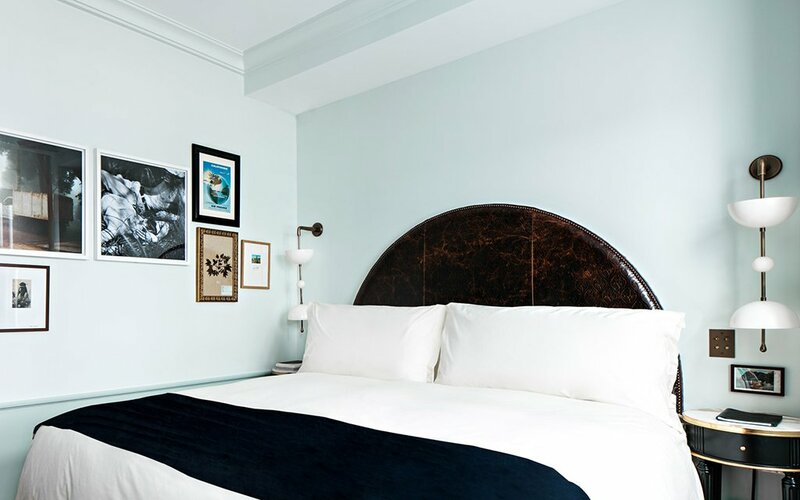 Housed in the old Bank of Italy, the team (including investor Ron Burkle) stuck to an Italian theme, with rooms that exude an understated elegance and feature luxury finishes like marble desks and linen sheets. If their $400 a night rate is too rich for your blood, check out their sister property, The Freehand, an easy-breezy spot with group rooms and surfer-styled suites. 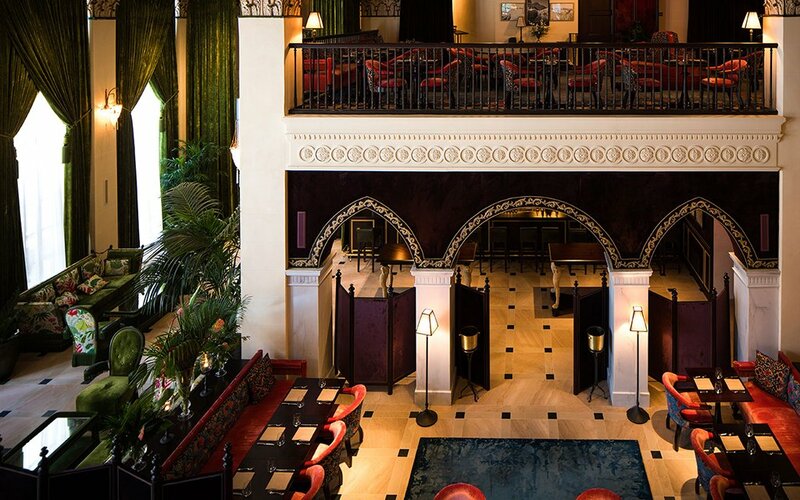 While at NoMad you’ve got to hit Giannini Bar, spanning the lobby like the lounges of yore, or the expansive rooftop where the pool and cocktail bar are perched with views of L.A. proper. If you’re at The Freehand, grab rooftop cocktails at Broken Shaker before dinner. The next morning, you can dine on lemon poppy pancakes, chickpea panisse and a dry-aged burger at the NoMad. At The Freehand’s restaurant, The Exchange, kick off the day with Israeli-style eggs and hummus served with warm, fresh-baked bread. 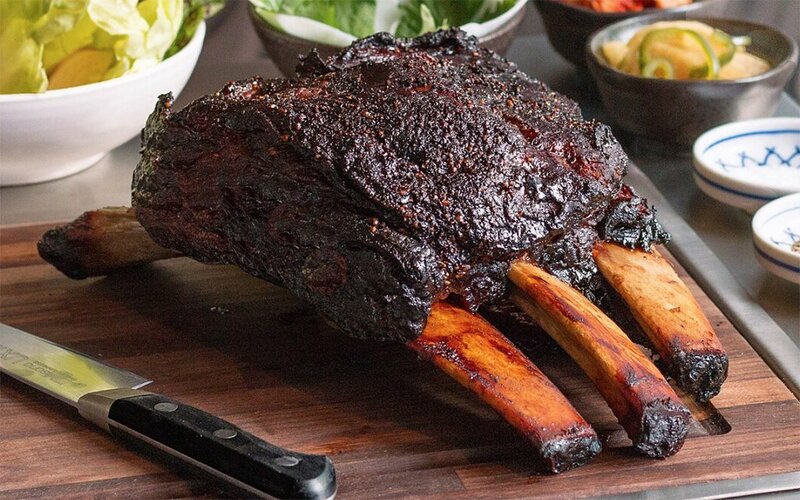 Who’s ready for a giant bone-in short rib? David Chang (of Momofuku fame) is roasting one in his new Chinatown haunt, Majordōmo. The chickpea-uni spread is a must-get, and you spread it on savory bing bread. Order some rice or grape wine, as the food needs to be complemented, and not overpowered, by its drink pairing. What ails you, my son? Is it stress from work or the stress from too much news? Chase it down with something brown. Or gold. Apotheke is a jazzy cocktail lounge by way of New York with medicinally themed cocktails and live music or DJs most nights. After brunch on Saturday or Sunday, head to the relatively new museum run by the Marciano Art Foundation. The Marcianos are the family behind Guess, and their impressive and eclectic art collection is now housed in the wildly restored Masonic Temple in Koreatown. Their latest exhibit, Olafur Eliasson’s Reality Projector is a site-specific, multimedia installation that utilizes the architectural features of the 13,500-square-foot room, casting shadows and projecting dazzling colors across every surface.